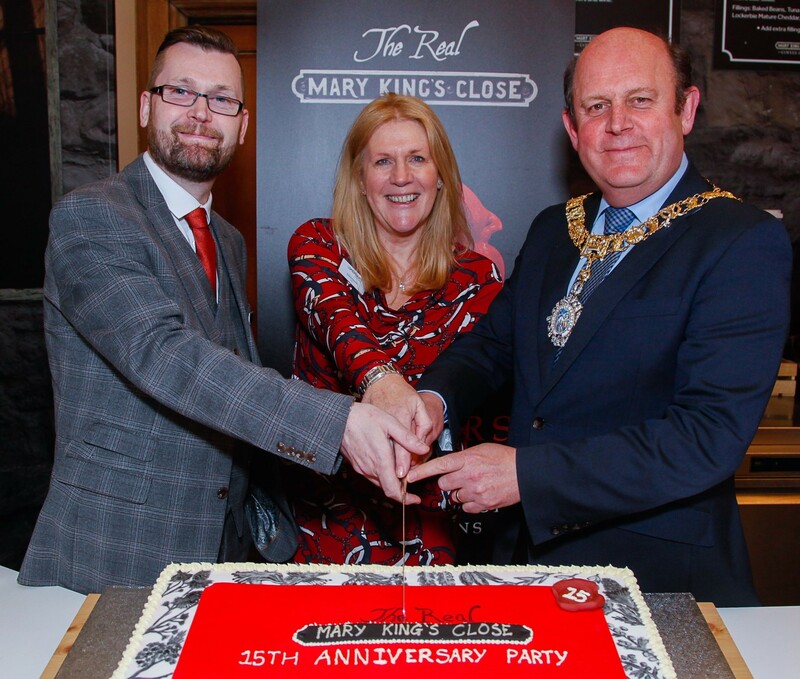 We are delighted to be celebrating a major milestone this year, as we commemorate the 15th anniversary of The Real Mary King’s Close. To mark the occasion, we hosted a party for the movers and shakers of the Edinburgh tourism industry. The event saw the launch of several exciting new experiences, including new character guide ‘The Doctor’, a Mary Queen of Scots themed room, and a renovated outdoor courtyard area. Frank Ross, Lord Provost of Edinburgh, commented: “For 15 years, the Real Mary Kings Close has educated and enthralled citizens and visitors with its social history tour of underground Edinburgh. Before the attraction opened in 2003, its warren of streets and spaces lay frozen in time for many years, right beneath our feet. Now, over 2.75 million people have discovered this hidden part of Edinburgh’s history, while the site has expanded to include an above-ground exhibition space and entrance on to the Royal Mile, as well as a retail and café area. Juliana Delaney, CEO of Continuum Attractions, commented: “This place is very, very special. The real stories of real lives lived in these spaces is even more so. Originally opening in the spring of 2003, the unique five star tour experience has welcomed over two and a half million visitors, and consistently ranks among the top things to see and do in Edinburgh. In the year 2017-2018 the attraction hosted 250,000 guests; the busiest year yet for the Close, and an 11% increase on the previous year’s visitor numbers. Working closely with the City of Edinburgh Council, Continuum Attractions was chosen to develop and operate the historic site as a world class visitor attraction, revealing the real history of these narrow streets and spaces to guests from all over the world.